THE 12 football association presidents who pledged loyalty to the new soccer body — Football Federation PNG — will hold their second quarterly meeting in Port Moresby this weekend. FFPNG president John Kapi Natto said the meeting was important as it would map out on what course the presidents would take for the good of football. It has been a tough road in the last six months after a fall-out with PNG Football Association. 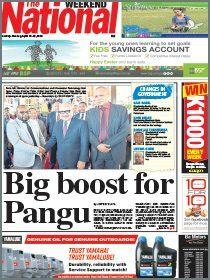 The presidents went out in their own way to set up the new football body to run parallel with PNGFA’s sanctioned competition. Kapi Natto said among the agenda to be discussed would be a way forward for football in the country and the “battle of conferences”. 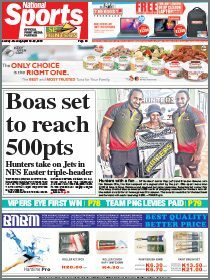 “The battle of conferences football challenge is the pinnacle of football for players associated with FFPNG through their semi-professional competition — the National Premier League,” he said. Apart from the battle of conference, the meeting will endorse the FFPNG and the NPL calendars for next season. There is much excitement in the semi-professional league as all four corners of the country will take part in the competition. The New Guinea Islands and Highlands will now join the existing Southern and the Northern conferences. Kapi Natto said there has been overwhelming support for NPL which has opened up avenues for raw football talent to take part in this high level competition.